Running and gunning is fun and all, but what really gets the blood pumping is hiding in the shadows, dispatching your foes quietly or simply sneaking by without anyone ever being the wiser. Stealth games have become a bigger part of the gaming landscape over the past 15 or so years, but we're willing to bet there are a few that you might have overlooked. Stealth games come in a variety of flavors. Some task you with making it from Point A to Point B without ever being spotted by the enemy, while others merely reward you for staying out of sight and achieving your objectives without causing too much of a fuss. Still others encourage stealth tactics but allow for a shift to more aggressive gameplay if an when you get spotted. Stealth fans have a lot to look forward to in these next couple of weeks as Dishonored: Definitive Edition and Metal Gear Solid V: The Phantom Pain hit the market. Both of these games fall into that third category, making it clear that stealth will allow you to skate by with less opposition while simultaneously giving you the necessary tools to handle emergencies. In case you're looking for an alternative game to practice your stealthy habits, though, we have a few suggestions both new and old. So crawl under a cardboard box and make your way into the nearest dark corner, because here are five stealth games you're probably not playing. 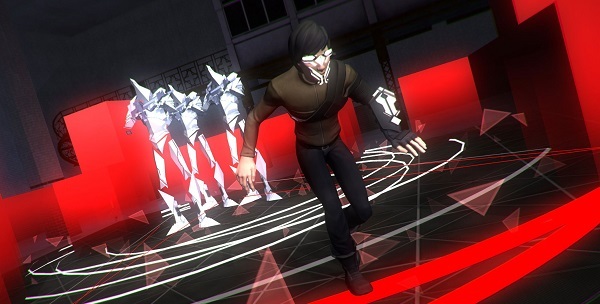 The freshest game on the list, Volume comes from the mind of Mike Bithell (Thomas Was Alone) and launched for PC and PS4 on Aug. 18. Word on the street is that a Vita version is also due out later this fall. In Volume, the player is tasked with sneaking through environments while avoiding detection from guards, dogs and the like. A new take on the story of Robin Hood, you come into possession of a device called the Volume, which just so happens to be used by a rogue group planning on overthrowing the government. The device lets the user run through simulation of planned attacks, which you decide to boadcast to the world in order to bring these evil plots into the light. Think VR missions from the OG Metal Gear Solid and you've got a pretty good idea of how Volume looks and plays. Oh, and there are user-made levels to boot! Available for PS3, Xbox 360 and PC, Assault on Dark Athena is a decent stealth action romp on its own, but it actually serves as the closing chapter to the far superior (and included in the same package) Chronicles of Riddick: Escape From Butcher Bay. As the name implies, your first priority will be escaping from a double max lockup by falling back on fisticuffs and some clever stealth tactics. Just like in the movies, Riddick has the ability to see in the dark, making for some pretty creative mechanics that let you sneak up on enemies undetected and potentially dispatch them without ever being seen. If you end up in a brawl, though, these games offer the best hand-to-hand combat scenarios ever dropped into the first-person perspective. If you're still thirsty for more after busting out of jail, you can of course jump into the Assault on Dark Athena portion of the campaign, which sees Riddick brought on board a merc ship and needing to fight his way back out again. When Hitman Go was first announced as a mobile title, pretty much the entire gaming world shared a collective eye roll. Nobody could have guessed how wrong our preconceptions of the game would turn out, though, as this latest Hitman offshoot turned out to be a fantastic little title that has since found a second home on PC. A turn-based infiltration and assassination game that is way better than it has any right to be, Hitman Go plays like a puzzle game mixed with a board game. In fact, that's the whole motif of the game, as levels look like dioramas occupied by player tokens. Your job is to carefully guide Agent 47 to his objectives, which typically involve getting to an exit or assassinating a particular target. Sneak up on an enemy and move into their space and, boom, you'll take them out. While that all sounds pretty simple in black and white, Hitman Go actually employs some rather brilliant mechanics that will have you sneaking and killing your way through grid-based maps into the wee hours of the morning. Set during World War II, this third-person open world action game was largely overlooked when it first launched for the PS3, Xbox 360 and PC. The game is set in a striking black and white world with splashes of color being introduced as you fulfill objectives. 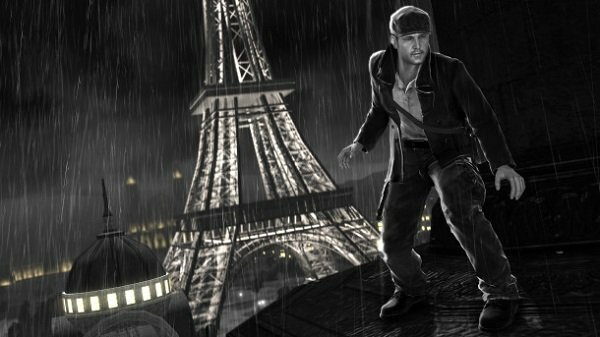 On a quest to avenge a murdered friend, you're eventually recruited by the French Resistance and tasked with helping fight back against Nazi invaders. Despite the era in which The Saboteur is set, you won't be gunning enemies down in the trenches as if this was an old school Medal of Honor or Call of Duty game. Instead, you'll be sticking to the shadows and relying on your wits to take out your enemies in this cloak and dagger affair. Think noir GTA and you're on the right track. A PC and Xbox 360 gem, you can't get much more “stealth” than when you take on the role of a freaking ninja. A side-scrolling action platformer, Mark of the Ninja is a game where the shadows are your friend. Your job is to sneak up on enemies or lure them within range and then dispatch them before moving on to your next objective. A couple of really interesting mechanics are at play here, all built around making Mark of the Ninja a phenomenal stealth game. For starters, if you're in the shadows, your enemies can't see you unless they're right up on top of you. Also, anything you do that makes noise will send out a sound wave. If an enemy is in range of those waves, they'll hear you coming and move to investigate. Finally, if your character can't see the enemy, you can't see the enemy. This unique line of sight feature makes Mark of the Ninja a real challenge; one that rewards careful planning and execution as well as being able to roll with unexpected punches.